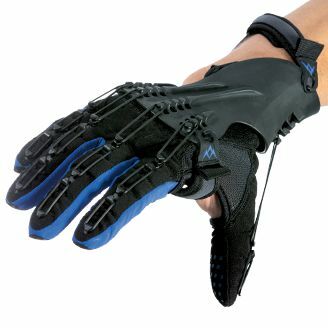 With a lightweight and low profile design, the SaeboGlove is the premiere functional solution for impaired hand function. Our original ground breaking design is still the first choice of patients with limited hand function and increased tone. With three interchangeable, spring-loaded plates to allow individuals suffering from spasticity to stretch comfortably and safely. Boost arm and hand recovery through sensory electrical stimulation (SES). Improve function, weakness and spasticity. Scientifically proven to speed up and improve motor function following stroke. Walk in comfort. A safe, sturdy, and stylish way to overcome foot drop. Eliminates stiff, bulky splints inside your shoe. Works with all your favorite shoes. SaeboVR is a virtual ADL (activities of daily living) rehabilitation system. The platform was specifically designed to engage clients in both physical and cognitive challenges involving real-life simulated daily functional activities. 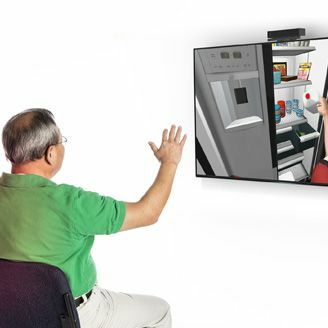 Clients will incorporate their impaired upper limb to perform simulated self-care tasks that involve picking up, transferring and manipulating virtual objects. The SaeboReJoyce is a unique rehabilitation solution that incorporates a wide variety of computer-based game activities to promote fun and engaging therapy. In addition to challenging arm and hand recovery, the SaeboReJoyce also address cognitive demand (I.e., attention). Which response closely describes your elbow condition? I cannot bend or straighten my elbow at all. 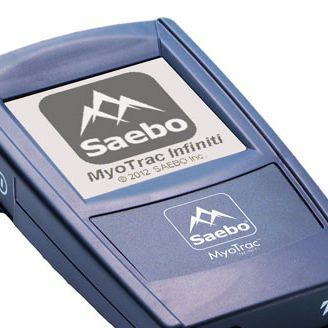 The Saebo MyoTrac Infiniti is an advanced biofeedback electrical stimulation system. The device provides stimulation based on a client's EMG signal (i.e., muscle contraction). Once the unit senses the muscle contraction or relaxation, the stimulation is delivered to the desired muscle. This 2-channel total body solution also includes a revolutionary foot drop treatment program for improved gait and walking. I can bend and/or straighten my elbow partially or greater, but not all the way. Clients with impaired elbow function can benefit from the use of the SaeboMAS Mini. The SaeboMAS Mini is a zero-gravity mobile arm support that unweights the affected arm so the patient can accomplish functional tasks (i.e., eating and grooming) and exercises. When using the SaeboMAS Mini, clients can see improved strength, motor control, and functional independence. 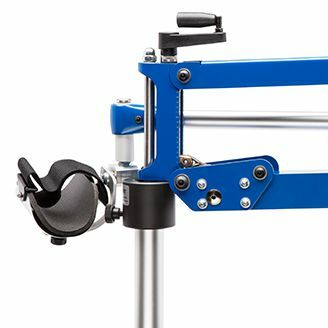 The original SaeboMAS dynamic mobile arm support is a zero-gravity device that unweights the affected arm so clients can perform shoulder and elbow exercises as well as functional tasks (i.e., eating and grooming). By using the SaeboMAS, clients can see improved strength, motor control, and functional independence. This unique exercise device allows patients to perform various controlled elbow and shoulder exercises at their appropriate strength level. The SaeboGlide allows the involved arm to be excercised in all planes of movement and can be used in lying, sitting, and standing positions. The SaeboReJoyce is a unique rehabilition solution that incorporates a wide variety of computer-based game activities to promote fun and engaging therapy. These exercises are designed to address the full range of potential finger and hand impairments while simultaneously improving strength and range of motion for wrist, elbow, and shoulder. The functional joystick challenges clients fine motor abilities and allows for improved coordination to occur. I can bend and/or straighten my elbow all the way, but still experience some weakness. We can help! Click to schedule a free evaluation with a Saebo Product Specialist or call 888-284-5433 for immediate assistance. Which response closely describes your foot condition? Ok, got it... now, which of these two descriptions aligns the closest with your impairment? My ankle is tight and I cannot raise my foot at all. My ankle is tight and I can raise my foot partially or greater, but not all the way. The SaeboStep was designed for clients who suffer from foot drop, but have some movement in the foot/ankle. 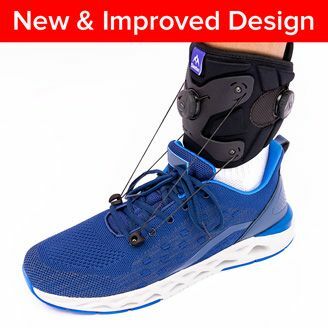 The design features a patented dial tensioner that lifts the foot quickly and easily. The device also offers unparalleled comfort and convenience while providing additional security and improved mobility. The SaeboStep can even be worn comfortably with the majority of male or female shoe styles. 100% Money Back Guarantee • Free Shipping & Returns • Try It Risk-Free for 30 Days! My ankle is loose and I cannot raise my foot at all. I have no movement in my foot and ankle. My ankle is loose and I can raise my foot partially or greater, but not all the way. The SaeboStep was designed for clients who suffer from foot drop but have some movement in the foot/ankle. The design features a patented dial tensioner that lifts the foot quickly and easily. The device also offers unparalleled comfort and convenience while providing additional security and improved mobility. The SaeboStep can even be worn comfortably with the majority of male or female shoe styles. Which response closely describes your hand condition? My hand is tight. With my involved hand as straight as possible, I cannot close or curl my affected fingers at all. Clients demonstrating hand tightness are encouraged to focus on stretching to minimize the "stiffness" experienced in the hand. Splints designed to help stretch the fingers may help reduce this tightness, but patients often complain that these rigid splints are uncomfortable and cause joint pain. 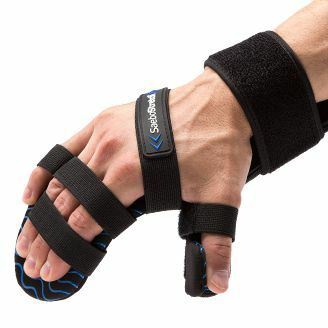 The SaeboStretch is designed specifically to prevent soft tissue shortening and/or contractures while protecting the finger joints and providing maximum comfort. 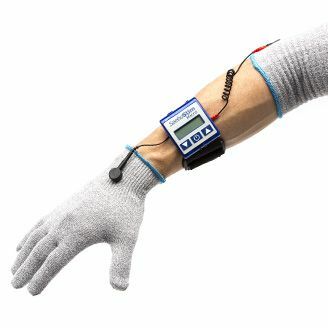 The SaeboStim Micro provides sensory electrical stimulation (SES) to both the hand and arm. The SaeboStim Micro is not designed to contract a muscle or cause movement. Rather, it provides a very low level of stimulation delivered over a much longer period of time. Sensory stimulation has been shown to provide the following benefits: cortical priming for improved motor function, increased sensation and normalized temperature in the hand, decreased spasticity, and decreased swelling and pain. My hand is tight. With my involved hand as straight as possible, I can close/curl my affected fingers partially or greater. 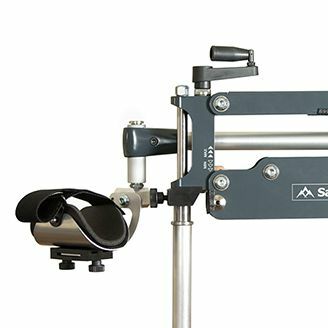 The SaeboFlex was designed for clients who have some movement in their fingers, but are unable to open their hand due to tightness. This spring-loaded device enables individuals to open their hand and engage in therapeutic "grasp-and-release" tasks that would otherwise be imposssible. By incorporating the hand in therapy and at home, common benefits may include improved arm and hand function, decreased spasticity, and improved strength. My hand is loose. With my involved hand as straight as possible, I cannot close/curl my affected fingers at all. My hand is loose. With my involved hand as straight as possible, I can close/curl my affected fingers partially or greater. 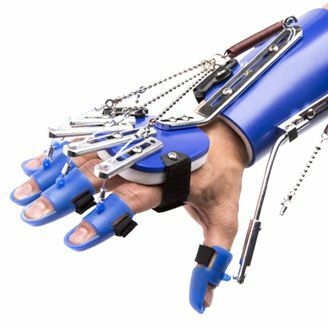 The SaeboGlove was designed for patients who require some assistance in opening their fingers (but are NOT experiencing "tightness" in their hand). This device can be worn throughout the day to accomplish activities that would otherwise be impossible. 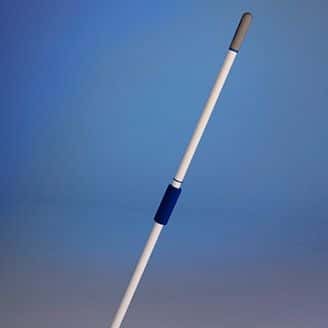 It also can be used for therapeutic exercises such as "grasp-and-release" tasks, which have been shown to promote increased hand funtion in patients with neurological injuries. My hand is slightly impaired. I can open and close, but have poor coordination. 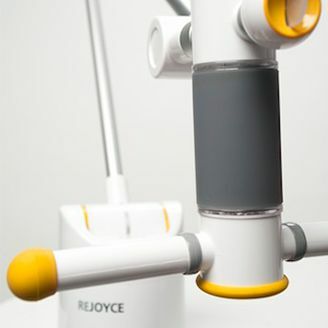 The SaeboReJoyce is a unique rehabilition solution that incorporates a wide variety of computer-based game activities to promote fun and engaging therapy. These exercises are designed to address the full range of potential finger and hand impairments while simultaneously improving strength and range of motion for wrist, elbow, and shoulder. The functional joystick challenges clients' fine motor abilities and allows for improved coordination to occur. Which response closely describes your hip condition? I cannot raise or extend my hip at all. I can raise and/or extend my hip partially or greater, but not all the way. I can raise and/or extend my hip all the way, but still experience some weakness. Which response closely describes your knee condition? I cannot bend or straighten my knee at all. I can bend and/or straighten my knee partially or greater, but not all the way. I can bend and/or straighten my knee all the way, but still experience some weakness. Which response closely describes your shoulder condition? I cannot raise and/or extend my affected arm at all. I can raise and/or extend my affected arm partially or greater, but not all the way. Clients with impaired shoulder function can benefit from the use of the SaeboMAS Mini. The SaeboMAS Mini is a zero-gravity mobile arm support that unweights the affected arm so the patient can accomplish functional tasks (i.e., eating and grooming) and exercises. When using the SaeboMAS Mini, clients can see improved strength, motor control, and functional independence. Clients with impaired shoulder function can benefit from the use of the SaeboMAS Mini. The SaeboMAS Mini is a zero-gravity mobile arm support that unweights the affected arm so the patient can perform functional tasks (i.e., eating and grooming) and exercises. By using the SaeboMAS Mini, clients can see improved strength, motor control, and functional independence. This unique exercise device allows clients to perform various controlled shoulder and elbow exercises at their appropriate strength level. The SaeboGlide allows the involved arm to be excercised in all planes of movement and can be used in lying, sitting, and standing positions. I can raise and/or extend my arm all the way, but still experience some weakness. Once your fingers are curled, you feel some stiffness/resistance when attempting to stretch them open with your unaffected hand. If you cannot position your affected wrist and hand flat on the table, then you may not be ready for the SaeboFlex or SaeboStretch. Please contact customer service to learn more. Once your fingers are curled, you do not feel any stiffness/resistance when attempting to stretch them open with your unaffected hand. You feel some stiffness/resistance when attempting to stretch your ankle (toes toward chin). If you cannot position your foot flat on the floor, then you may not be ready for the SaeboStep. Please contact customer service to learn more. You do not feel any stiffness/resistance when attempting to stretch your ankle (toes toward chin). The Power of Video. More than words. To Use or Not to Use. Are you training your affected arm enough? 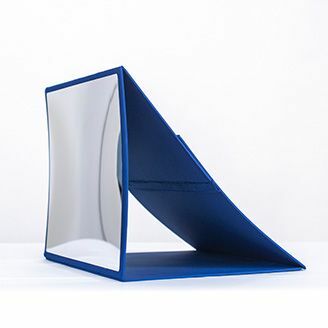 Bernhardt, J. J Rehabil Med, 2007. Kimberly et al. J Rehabil Res Dev, 2010, Lang et al. Arch Phys Med Rehabil, 2009.